Happy weekend friends! 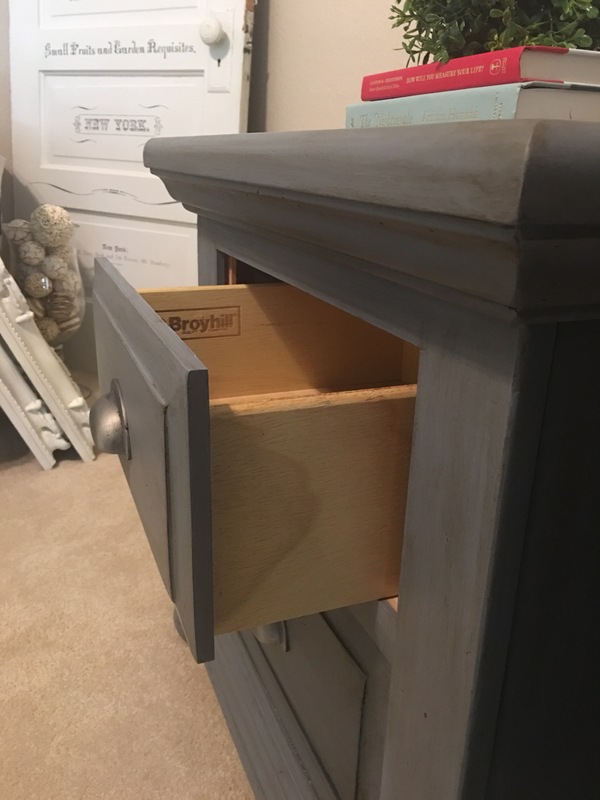 I wanted to share the story behind my recent nightstands project! 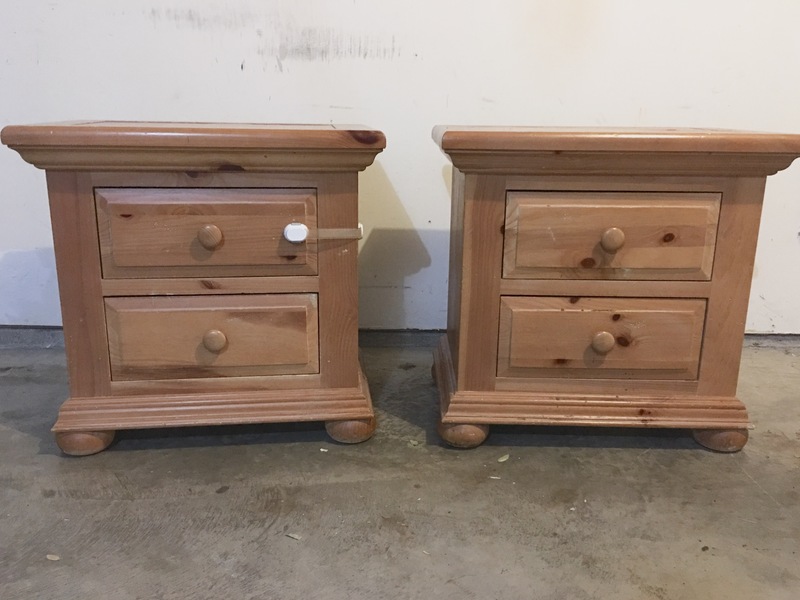 This is a very common set of nightstands that Broyhill manufactured several years ago. I located them on Craigslist during our time in Phoenix, and my boys used them as their “Science labs”. The previous owners had added a child safety lock, which was a little weird, and my boys had carved “new year” into the top. 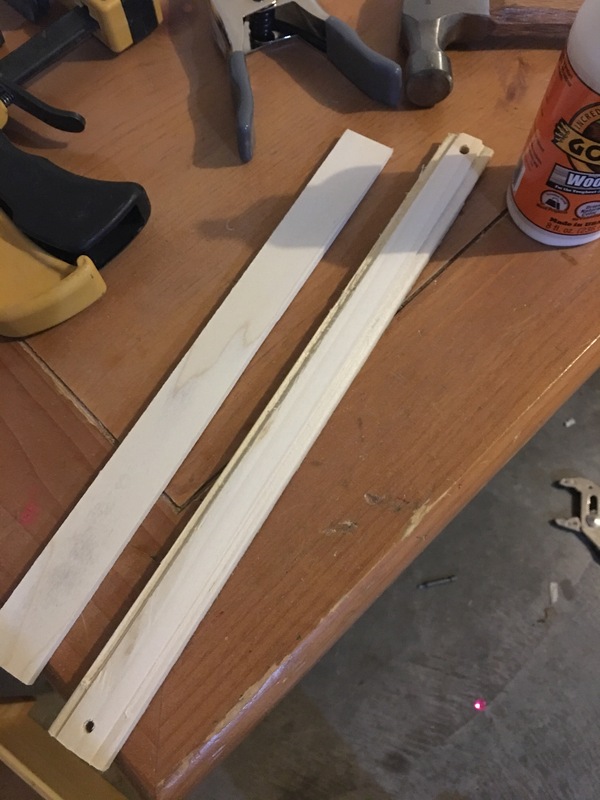 They also let a sucker melt on the top of the nightstands, which left a hard sticky substance that had to be sanded off. Seriously, kids are so hard on furniture! 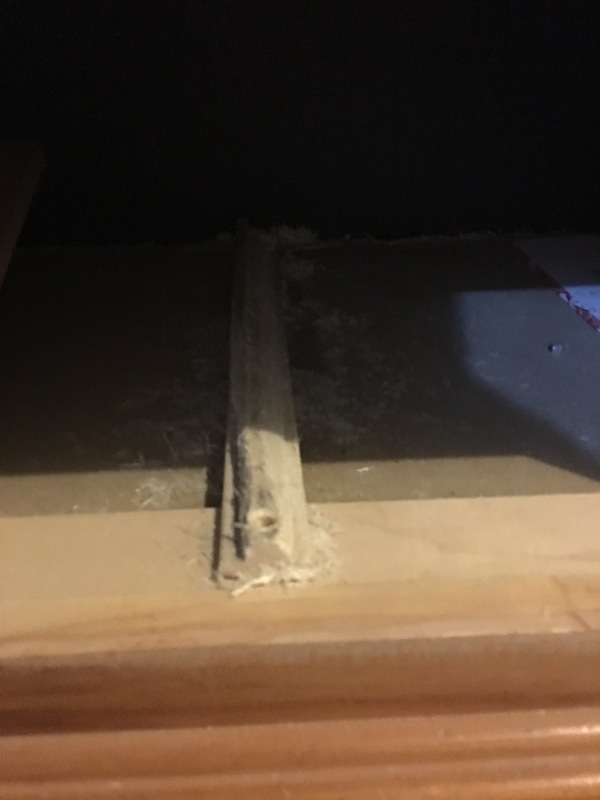 The biggest problem on this project was that one of the drawers had lost it’s track, and the drawer tipped when it was pulled out too far. A little glue, a lot of sanding, and a few prayers later, the drawer worked better than ever! The awesome folks down at the Benjamin Moore store here offered to let me come in and demonstrate some of my projects in their store. 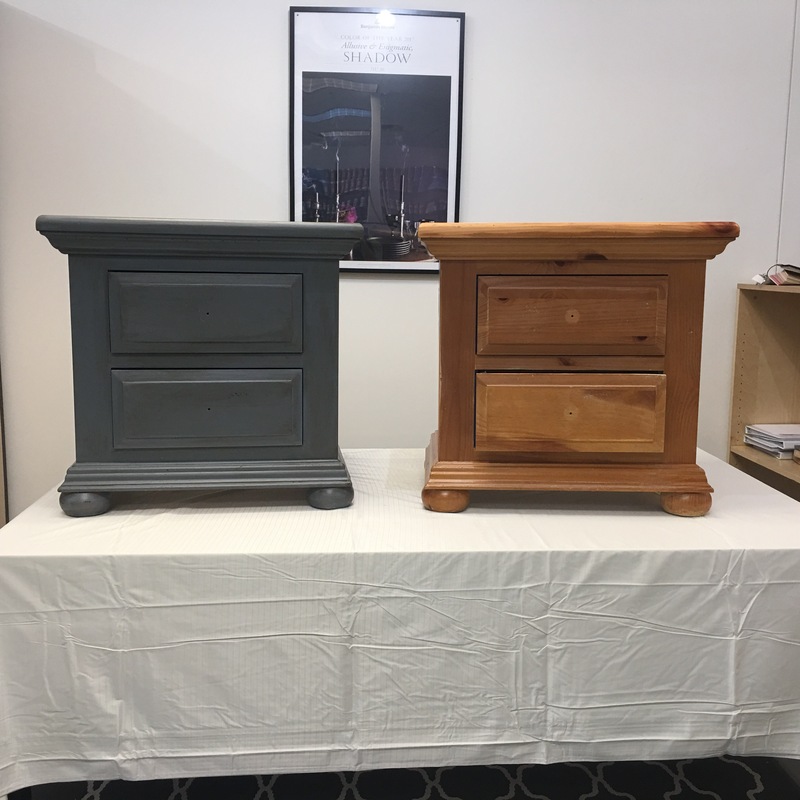 So for my first demonstration, I used these nightstands! After sanding every surface down, I used a shellac primer to make sure any additional stains were sealed in nicely. 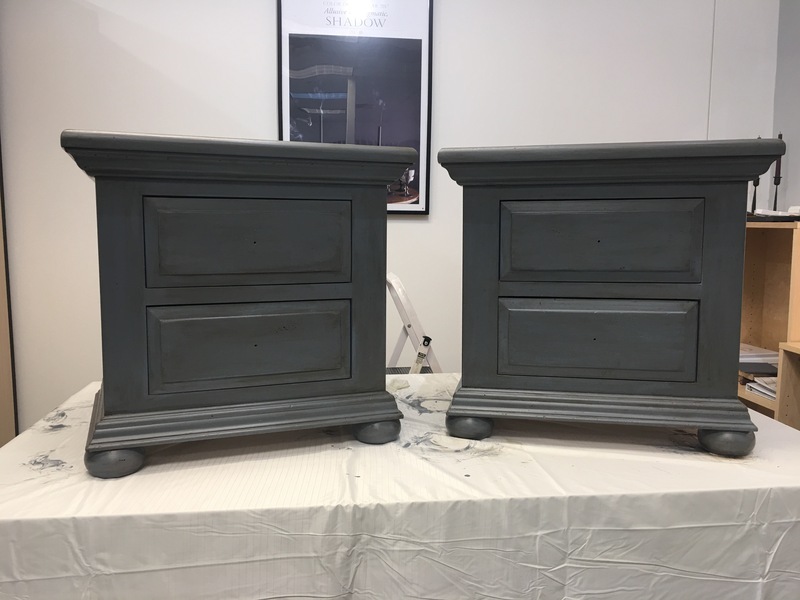 Then I used Benjamin Moore’s latex paint in “gray wolf”, and did a wash rag technique rather than a brush to lay it down. 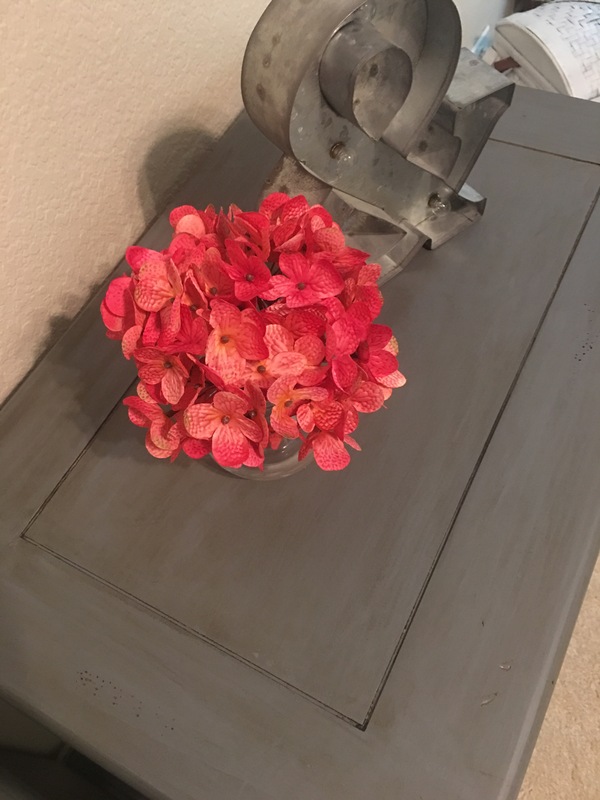 Once the paint was dry, I used Valspar’s antiquing wax, which was more like a glaze, and added a nice rich patina to the wood finish. Finally I covered the paint with Benjamin Moore’s clearcoat. To give it a nice smooth hard polycrilic finish. Finally I drilled new holes, and added some pewter handles. We delivered them to their new owner last night, and she absolutely loved them! 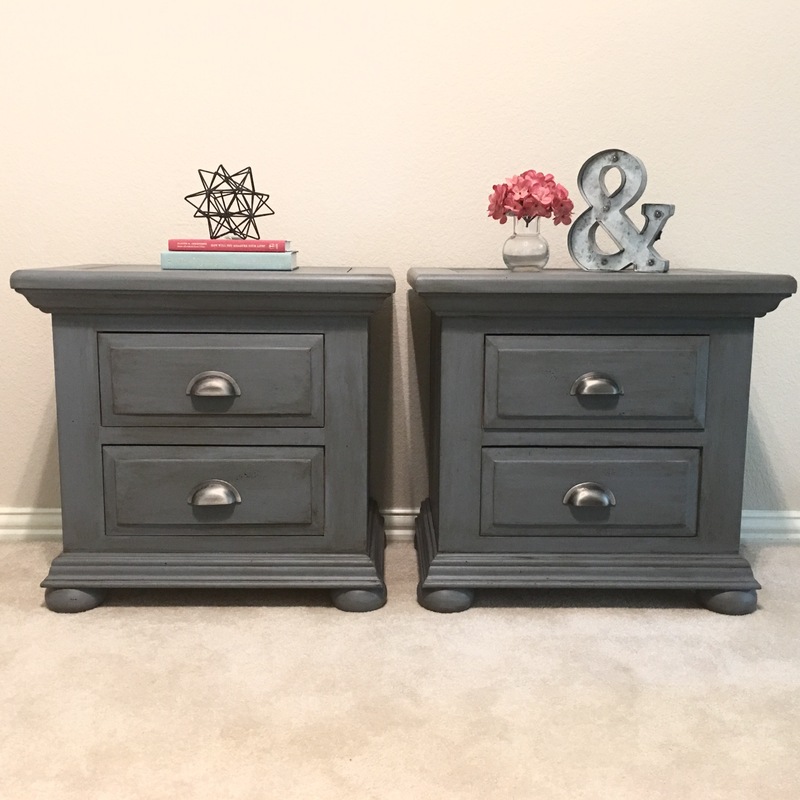 This was such a fun little nightstand project! Thanks for reading, and I hope you have a fabulous rest of your weekend!